Look around my co-working space and you’ll notice that the reusable cup movement is strong. Popular among many, including myself is the Stojo collapsible cup. 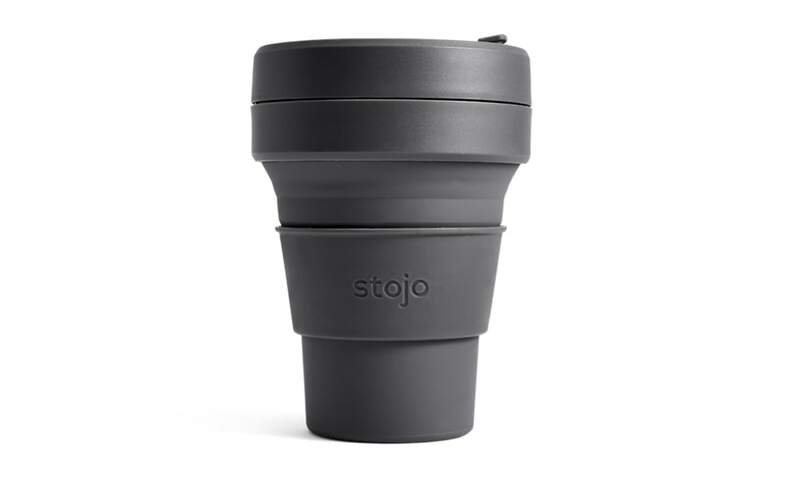 Designed by coffee lovers, the Stojo is a convenient alternative to more rigid travel mugs and of course, better for the environment than disposable cups. The market for reusable cups is huge but few are collapsible and consequently are guaranteed to take up a sizable part of your day bag. The Stojo’s unique leak-proof design means that once you have finished your beverage you are able to collapse it, seal it with the lid, and “stow and go”. Once collapsed the Stojo is smaller than two inches high meaning you can store easily in your bag, coat, or luggage. The cup also ships with a neat dual purpose heat sleeve. Use it as a protector for your hot drinks when on the go or turn it upside down and use it as a stand when at your desk! It also neatly slots into the collapsed cup for storage. In addition to the 12 oz version, Stojo also produces a 16 oz cup known as “The Biggie”. This ships with a reusable straw and is available in five colour combinations. Many thanks to Stojo who kindly provided me with a carbon Stojo for review.